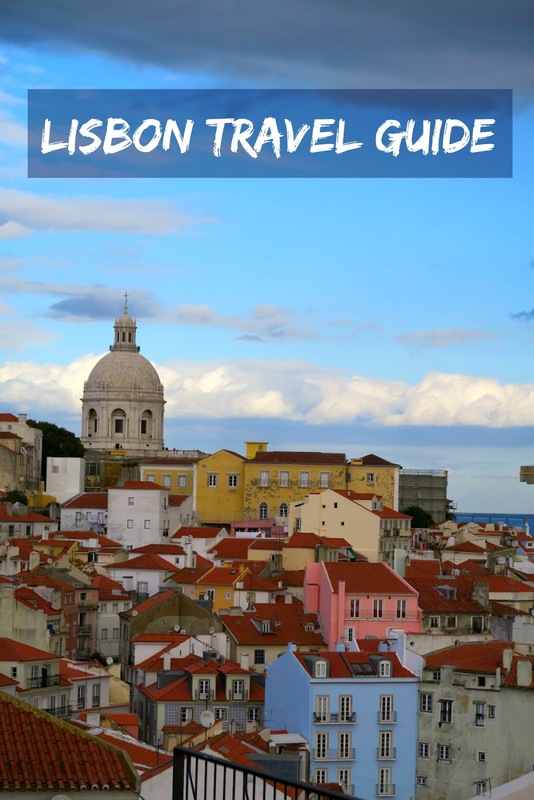 If you’re thinking about visiting Lisbon, I have just the guide for you. If you’ve never seen one of my guides, I normally recommend a couple things and show some photos. Then I give you some advice about money, and essentials in the country. Let’s dive in! 1. Visit Praça do Comércio because there’s lots of restaurants, shops and the visitors center. There’s even a wine shop, which you’ll want to visit during the week. 2. Igreja de São Roque is a must. We decided to visit this church on the way to the castle. The views are amazing, and I actually had quite the peaceful few minutes sitting inside and just thinking. 3. On your way to São Jorge Castle, make sure to stop and smell the roses. There’s a lot of great photos to take on the way to the castle. 4. Keep your eyes open for all tile. There’s so much tile throughout Lisbon, and Portugal. It’s all so special, and truly unique to any tile I’ve seen in the past. 5. Once you get to the São Jorge Castle, you have to take photos from all angles. I took hundreds from every angle, so I’d have at least one or two that I liked. You know how the blogger life goes. 6. You’ll have to visit the Lisbon Cathedral. We decided to stop by in the afternoon, and we took photos just outside. 7. When you’re looking for a floating castle, you’ll have to visit the Belem Tower. We called it a floating castle, and it was truly one of the best sights we’ve ever seen. After looking through my Instagram feed, I have a couple other things I want to recommend to you. Time Out Market is an excellent place for prepared foods (or fresh!) and there’s lots of options. It’s like a cafeteria or a food court (what we’d consider a food court in the states) but it’s awesome. It’s not fast food, it’s high quality food and there’s just so many options. There’s so many good sangrias too, so make sure to order one for yourself. I also think it’s a great idea to purchase the Lisboa card, because it will give you access to all public transportation for the number of days you prefer. I think it’s the smart way to do it, and public transportation is so heavily used. If I think of anything else I might have missed, I’ll make sure to add it here. 1. Most things are closed on Sunday. This is a day of rest, and a lot of things are closed. Shops, restaurants, attractions, etc. It’s pretty quiet on Sundays so make sure to check online to ensure something is open before you walk 17 miles to get to it. 2. Brunch isn’t a “thing” so I recommend either getting ingredients to make your own brunch. 3. It’s reasonably priced. I would even go as far as to say that Portugal is cheap. A delicious bottle of wine is 2 euros. 5. Drink wine. There’s not beer, and if there is, it’s not the best if you’re a craft beer drinker like myself. The wine is earthy, fresh and so crisp. You’ll have to try it. 7. Many people speak English. If you’re thinking Portugal, you don’t need to learn Portuguese to be able to order food or get by when it comes to shops, attractions, etc. Many people do speak English, and many menus are presented in Portuguese AND English. I actually think we had two scenarios where there was no English speak, but we signaled to each other and pointed to things so we were able to communicate. You actually don’t realize how important language is until you have to use hand signals, sounds and point to things to get your point across. If you’re going to visit Lisbon, or Portugal in general, make sure to get in touch with the visitors centers. They speak fabulous English, and can get you answers regarding things to do, hours of operation and what events are happened! I vlogged a bit in Lisbon (the Sintra vlog is longer! ), so you can experience some of the sights in video format. P.S. Did you know I have a YouTube channel? See you over there!